Dr. Mills is the past President of the American Academy of Implant Dentistry. He is the co-director of Georgia Regents University's Comprehensive Dental Implant Program in Implant Dentistry. He was also the past director of Emory Adventist Hospital’s 3 year residency program in Dental Implantology. He is an honored fellow of the American Board of Oral Implantology and a Fellow and diplomat of the International College of Oral Implantology. Dr. Mills has a private practice focused on restorative dentistry in Atlanta, Georgia. His father was Edward Arias and his mother was Shirley Van Dijes. At the age of 5years following the divorce of his parents Edward, his younger sister, and his mother moved to the United States. His mother remarried Jerry Mills, which gave Edward his last name. Edward’s family lived initially in California, moved to Florida for a period of time and then to Atlanta, Georgia, where he graduated from Peachtree High School in 1973. While in high school, Edward was a varsity wrestler, played baseball and was very actively involved in scientific research projects. By graduation he had won the state science fair 3 times performing intraoral tissue grafts in hamsters as well as grafting human skin to monkeys. He worked with surgical adhesives, as well as studied an alveolar connective tissue found in hamsters which served as an antigen barrier. Edward continued his research project on the immunological nature of the alveolar connective tissue of hamsters as an honors research project at Emory University. While at Emory he also worked in immunopathology in Dr. Mariano LaVia’s Laboratory doing basic research on B lymphocyte activation. After attending Emory at Oxford and Emory University in Atlanta, Edward was accepted as an early admission candidate to Emory University School of Dentistry. He graduated from dental school in 1980 at the age of 23 years. Following graduation from dental school Dr. Edward Mills started his private practice in Atlanta, while teaching in the oral medicine department at Emory University School of Dentistry. Immediately following graduation Dr. Mills started taking dental implant courses and became an Associate fellow of the AAID in 1984, a fellow in 1991 and a Diplomate of the American board of Implantology in 1991. Dr. Mills served as the 50th president of the American Academy of Implant Dentistry in 2002 and 2003. Dr. Mills has lectured nationally and internationally in over 200 meetings on diagnosis, esthetics, dental implant surgery and prosthetics. He served as the co-director of a 3-year dental implant residency program at Emory Adventist hospital and he has been the director of the Medical College of Georgia’s Comprehensive Dental Implant Continuing Education Program (The Maxi Course) for over 10 years. Edward is married to Michelle Mills and they have three children: Olivia, Austin and Linden. Dr Edward Mills graduated from Emory University School of Dentistry in 1980 following which time he was an instructor in the department of Oral Medicine. Dr. Mills is the Director of Atlanta Center for Restorative Dentistry where he has focused his private practice to adult restorative dentistry. He is a past President and Fellow of the American Academy of Implant Dentistry and Diplomate of The American Board of Oral Implantology. Dr. Mills was the Co-Director of a 3-year hospital based Dental Implant residency program at Emory Adventist Hospital. 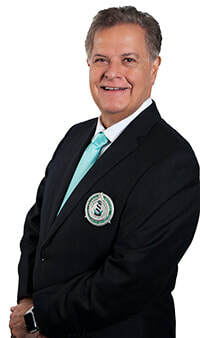 Dr. Edward Mills is the founder and current Director of the Atlanta Institute for Advanced Education, which is a state of the art educational facility utilized to train professionals through lectures, live demonstrations and internet education formats. He is the current Director of the Medical College of Georgia’s 300-hour Comprehensive Dental Implant Training Program which is considered among the top continuing education programs in dentistry. Dr. Mills has lectured extensively throughout the United States and abroad on both the surgical and the prosthetic aspects of Dental Implantology.